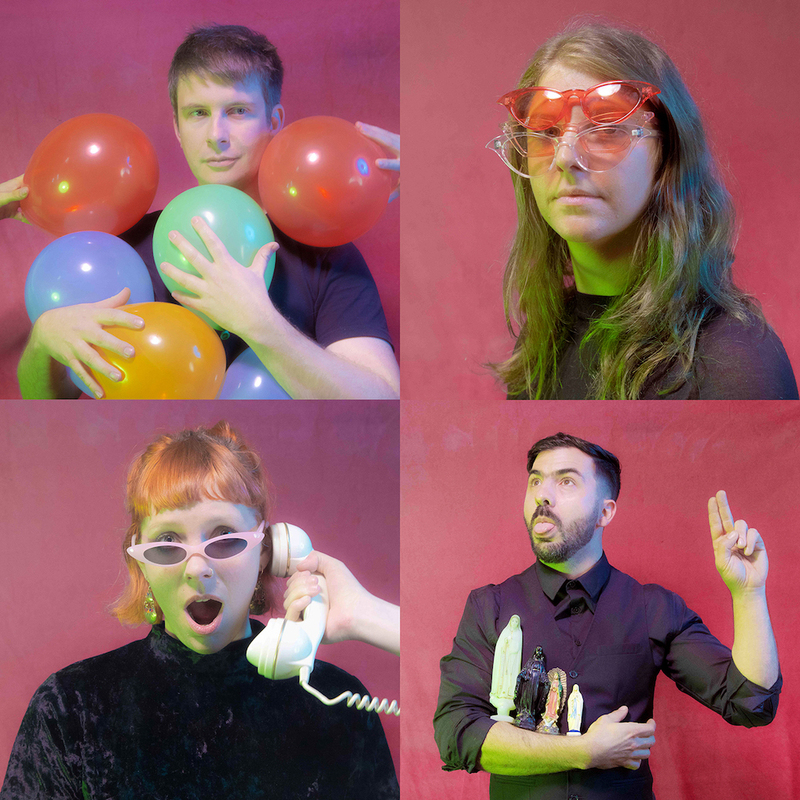 We are two girls and two boys trying make their way through this wacky world with nothing but drums, guitars and synths… We make music that lands somewhere on the continuum between punk and disco. You can call it whatever you like, we don’t mind, because at the end of the day all we want you to do is get down with us. We’ve released three EPs and one collection of b-sides; you’ll love them, we promise. You’ll also love our live show which is always full of thrills, spills and gills. We take what we do seriously, but we do not take ourselves seriously. We are here to teach you to do the same. We are here to fix your broken hearts.